A group of activists in South Korea is threatening to launch giant helium balloons with copies of the movie “The Interview” into the neighboring country of North Korea. North Korea has said that it will respond by launching cannons and missiles. Activists in South Korea have sent leaflets in balloons to its neighbor several times before, upsetting North Korea’s government. Typically the leaflets criticize the North Korean government. North and South Korea were part of a single country called Korea for over four thousand years. Korea was split into the two nations in 1948. The border between the two is one of the most guarded borders in the world. The two countries have evolved very differently from each other. North Korea has been led by people from the same family since it was founded. 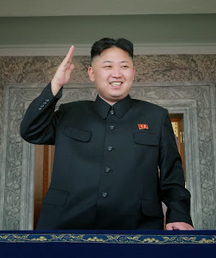 Kim Jong-un (image) is the current leader, and his grandfather and father were the leaders before him. There isn’t much communication between North Korea and the rest of the world. The government very strictly controls many aspects of its citizens’ lives. Many people don’t have a choice of their job, as the government assigns them work. It is very difficult to visit the country and for its citizens to leave. People don’t have many gadgets and conveniences. News and the Internet are controlled, so people can’t see what’s going on around the world. It is believed that there are food and power shortages in the country. The capital is Pyongyang. South Korea is democratic. The citizens of the country have a very high standard of living, and South Koreans are one of the world’s most hi-tech people. Seoul is the capital city. 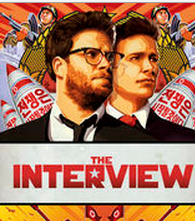 The Interview is an American movie about an attempt to kill the North Korean leader, Kim Jong-un. It was released in 2014. The movie’s release made the North Korean government furious with the United States.